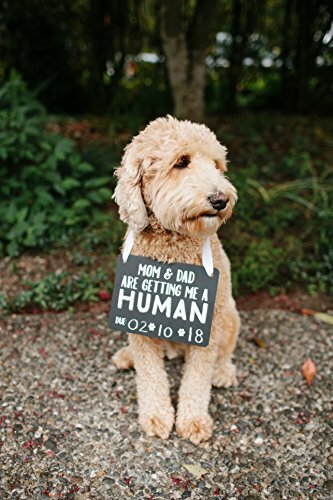 Have fun putting the chalkboard around your pup's neck and watching as they walk down the aisle on your special day. 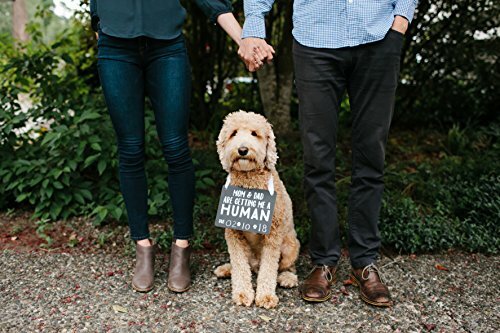 It's the perfect way to include your pup on your big announcement day. More Pearhead pet products available- Pearhead offers a variety of pet products perfect for your favorite furry buddy; including pawprint frames, pet keepsakes, pet ornaments, pet bowls, and pet gifts. 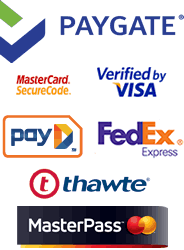 Click on Pearhead in this listing to see more pet options available! 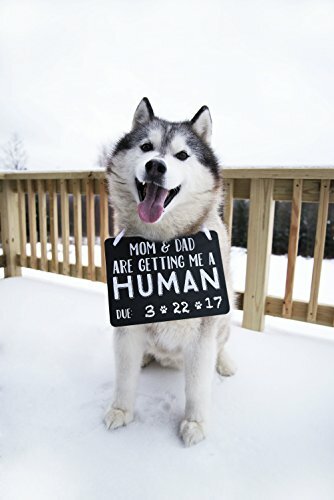 Bring your furry friend into the fun of your baby announcement with Pearhead's Pet Baby Announcement Chalkboard Sign. 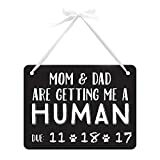 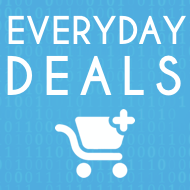 The chalkboard photo prop sign is printed in white with "Mom & Dad Are Getting Me A Human." 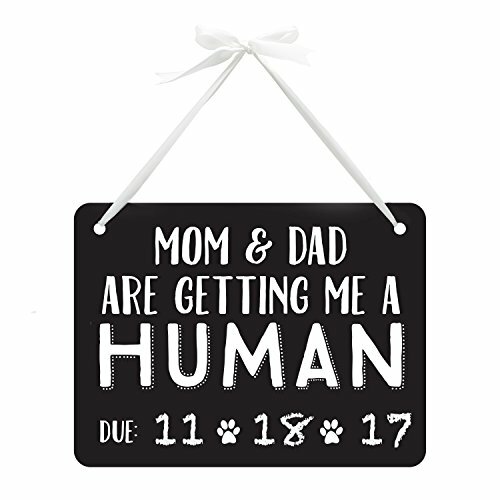 Use the included white chalk to fill in the due date between two adorable printed paw prints. 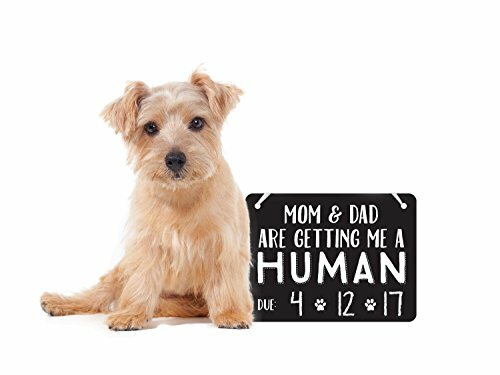 Chalkboard sign features adjustable ribbon included ties around any pet's neck size. 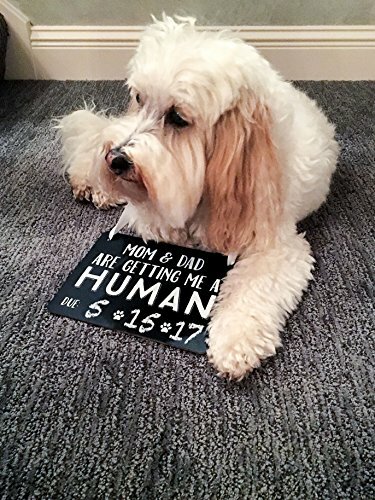 Pearhead's adorable pet baby announcement chalkboard is the perfect way to share the news of your growing family! 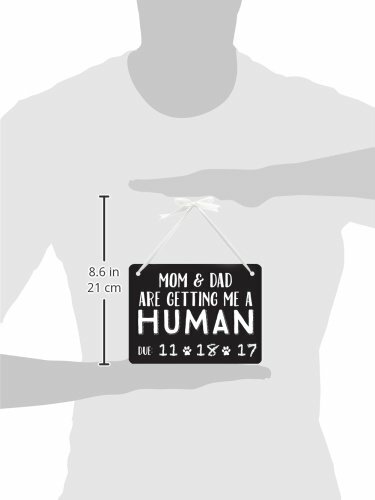 Snap a photo and share the amazing news with everyone you love. 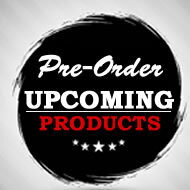 Use the hashtags #my little pearhead and #my furry pearhead for a chance to be featured on Pearhead's social pages.